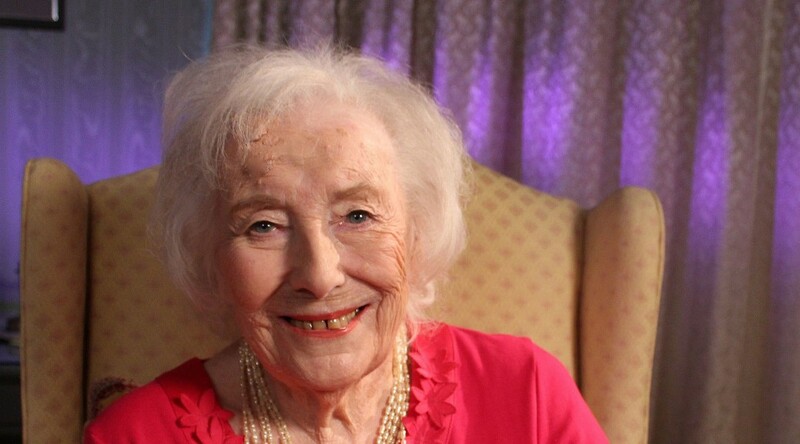 Dame Vera Lynn has revealed her secrets for long life as she turns 100 - being active and "interested" in life. Asked for advice on ageing, she said: "Be active to your full capabilities. "Keep interested, read books, watch television and try to keep in touch with life and what people are doing, seeing and enjoying." Speaking to BBC Radio 2, she added: "While you can do that, I hope you will continue." 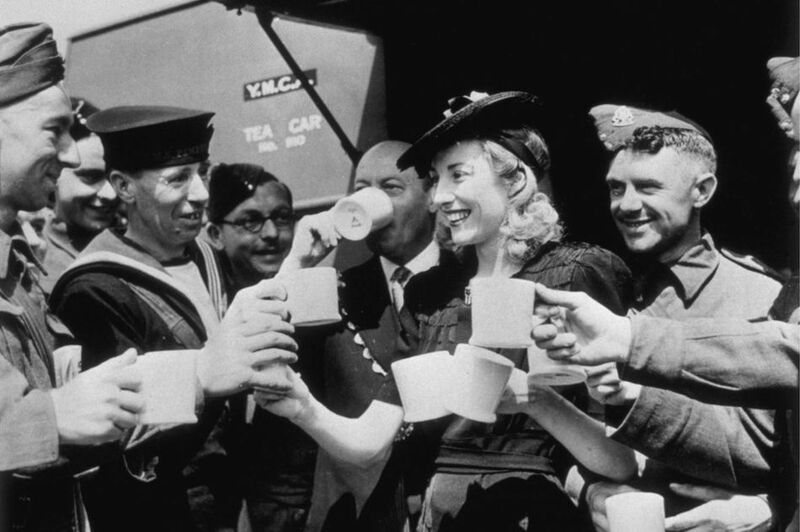 Dame Vera became known as the "forces' sweetheart" during World War Two for travelling to conflict zones around the world to give morale-boosting performances to British troops. 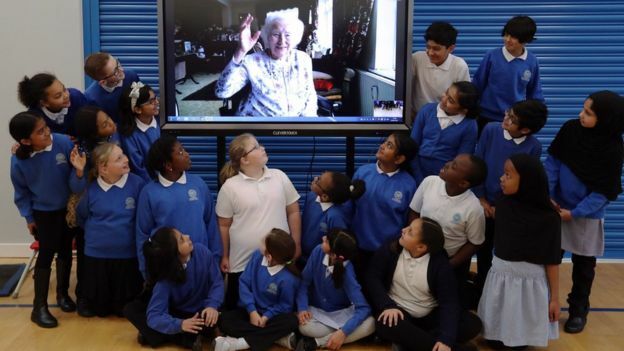 As part of the birthday celebrations, children at Brampton Primary School - Dame Vera's old school in East Ham, east London - sang Happy Birthday to her via Skype. They also serenaded her with a selection of her best-loved hits including We'll Meet Again and The White Cliffs of Dover. Speaking from her home in Ditchling, East Sussex, she thanked the pupils and recalled her "very good memories" at the school. Speaking earlier to Radio 2, the veteran singer said: "When I look on my mantelpiece and see these cards wishing me a happy 100th birthday, I can't believe it. "But there you are, time marches on and this is what I have on my mantelpiece to remind me how old I am." Vera Welch was born on 20 March 1917 in East Ham, now part of east London. 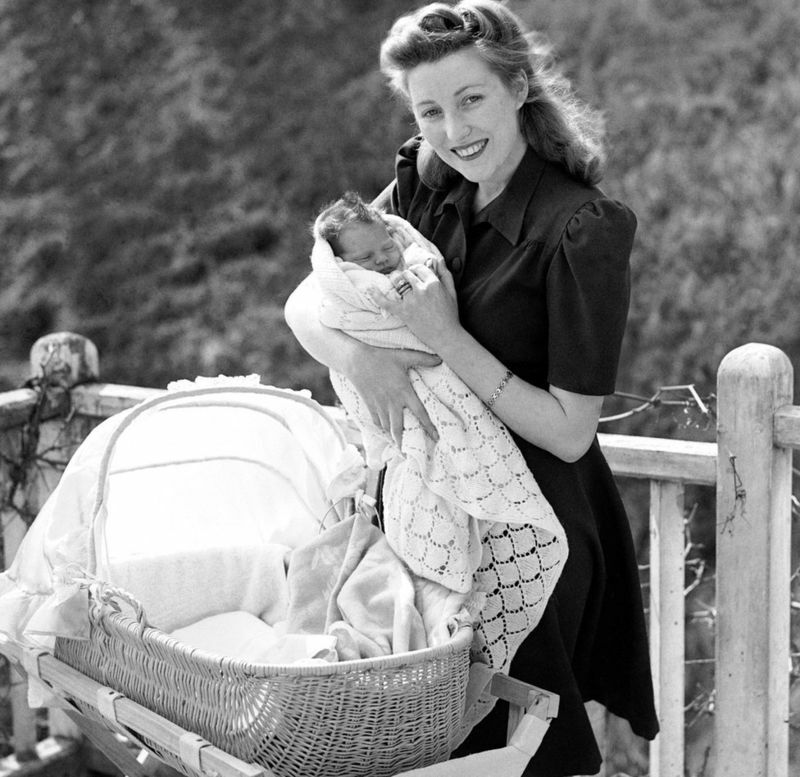 Neither of her parents were involved in showbusiness - her father Bertram was a plumber and mother Annie a dressmaker. 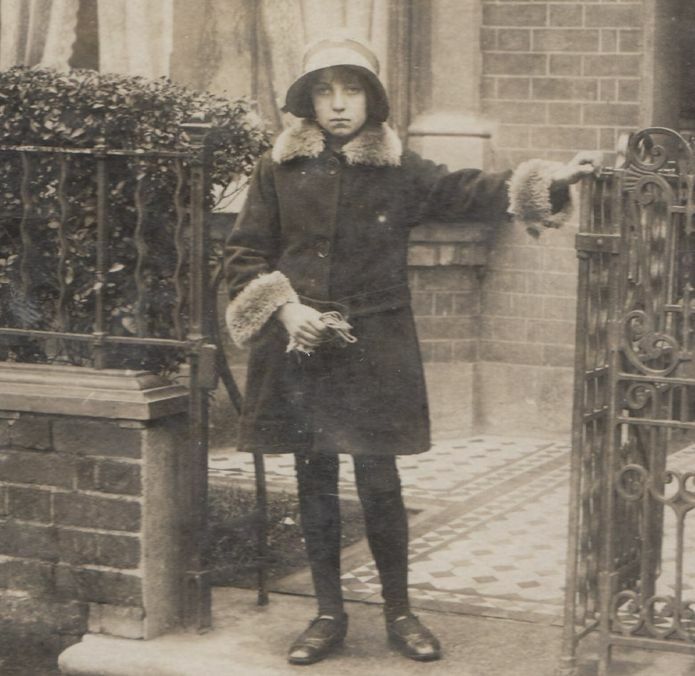 But by the age of seven, the talented young Vera was singing in working men's clubs - an audience she described as "great" - and soon became the family's main breadwinner. When she turned 11, Vera took her grandmother's maiden name of Lynn as a stage name. She had no formal singing lessons as a child - and just one as an adult. She said: "I thought I could extend my range but when the teacher heard me sing she said 'I cannot train that voice, it’s not a natural voice.'. So I said: 'Well thank you very much madam', and left." 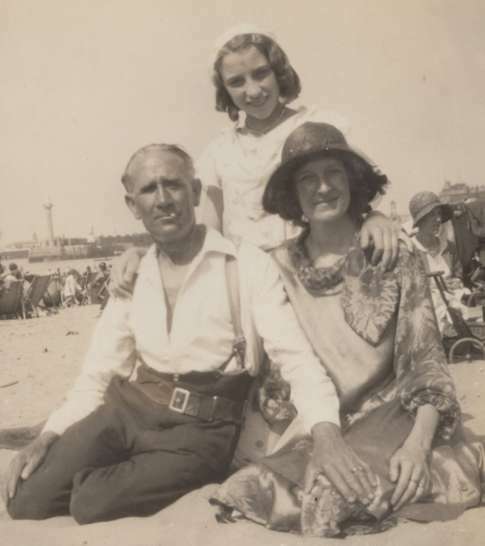 Vera was talent spotted aged 15 while singing at the Poplar Baths by local band leader Howard Baker. He signed her up on the spot. In 1936, when she was 19, she had her first solo record - called Up the Wooden Hill to Bedfordshire. By the age of 22 she had sold more than a million records, bought her parents a house and herself a car. However, it was during World War Two that her reputation was made. She frequently sang to the troops at morale-boosting concerts, becoming known to posterity as The Forces' Sweetheart. One of her most famous songs, We'll Meet Again was released in 1939 and as war progressed it increasingly resonated with the British public. As Vera said: "It’s a good song as it goes with anyone anywhere saying goodbye to someone." Her popularity was such that she was voted the British Expeditionary Forces' favourite singer, beating Bing Crosby - with whom she's pictured - and Judy Garland. She travelled across the world to entertain troops, including to Myanmar (then Burma), India and Egypt. She later recalled staying in grass huts and using a bucket of water for a shower. 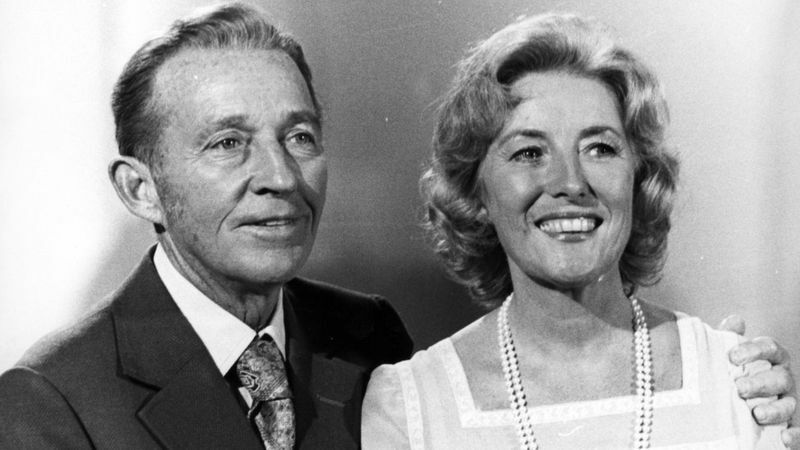 In 1941 Vera had married Harry Lewis. 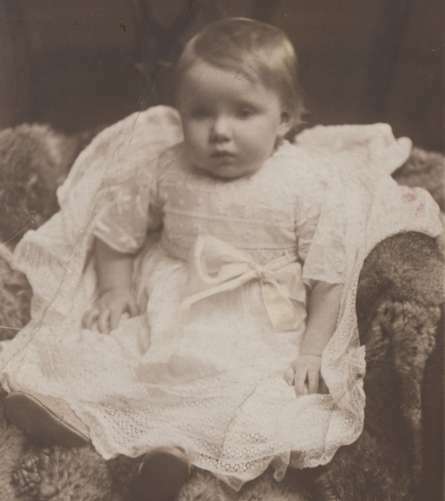 They had one daughter, Virginia, and lived together in Ditchling, East Sussex, for 58 years until his death in 1999. Following the defeat of Nazi Germany, the BBC Variety Department broadcast a victory programme on VE Day in May 1945. 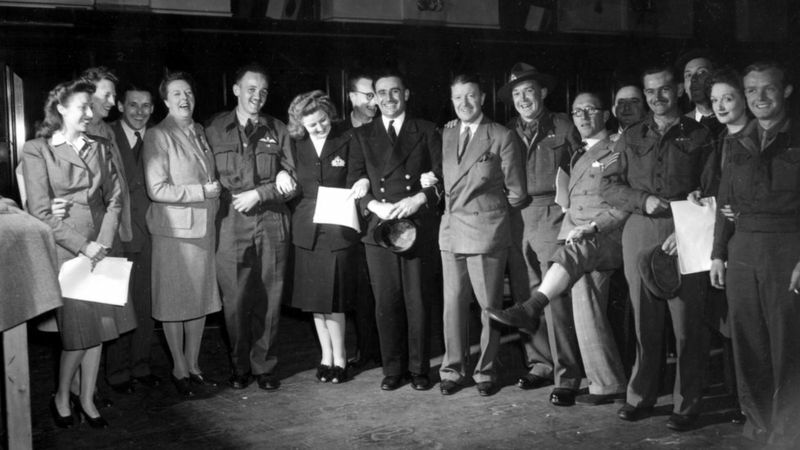 Vera was joined there by entertainers and returned British Prisoners of War. Her popularity survived the war years and after peace came she toured all over the Commonwealth, appeared in a Las Vegas cabaret, and performed for the British Royal Family. She was appointed OBE in 1969, made a Dame in 1975, and a Companion of Honour in 2016. 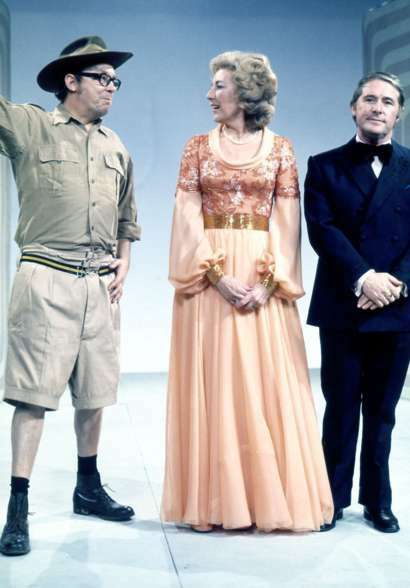 Her wartime fame meant she was never far from the television screens, appearing on The Morecambe and Wise Christmas Show in 1972 and being the subject for This is Your Life in both 1957 and 1978. 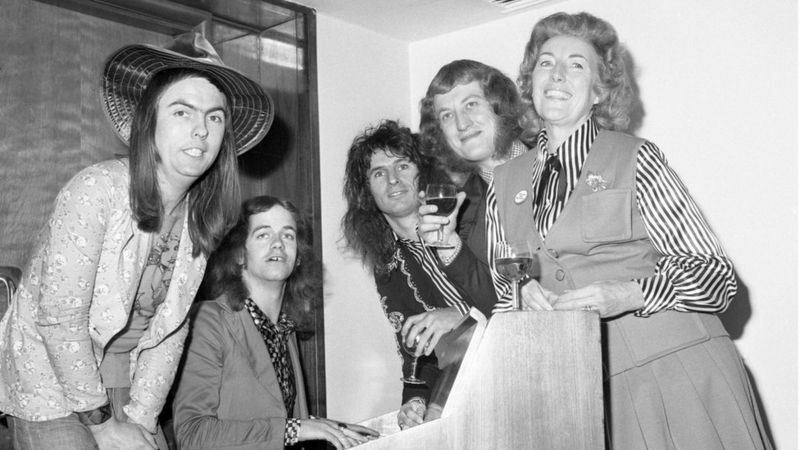 She made the acquaintance of glam rock band Slade in 1973, when they gathered round a piano at the Melody Maker Awards. In February 2017 she released her latest album, and holds the record for being the oldest living artist to achieve a top 20 UK album. 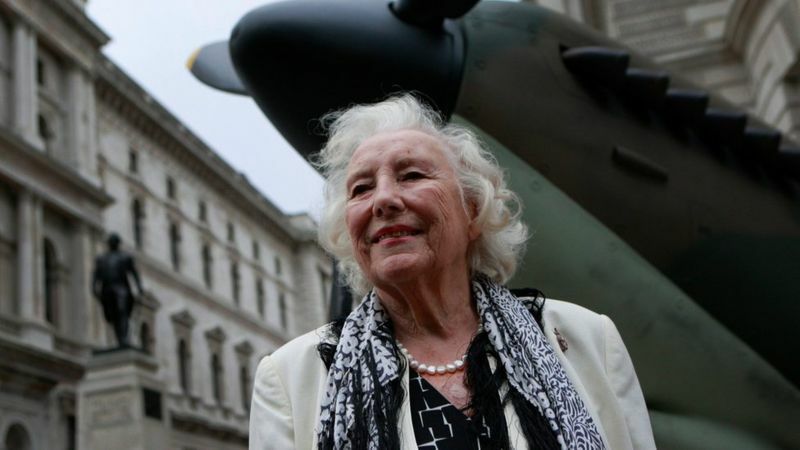 Dame Vera helped mark the 70th anniversary of the Battle of Britain in a ceremony on 10 August 2010. 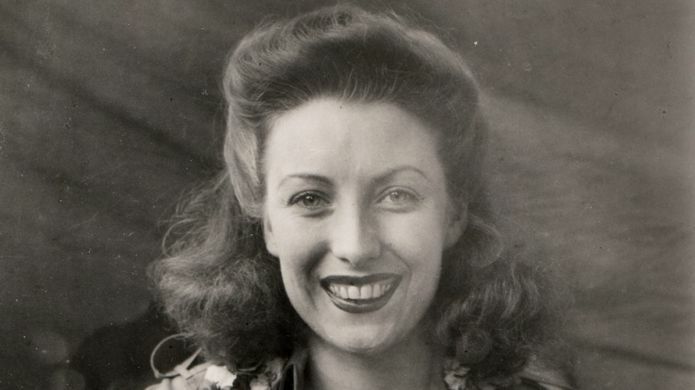 Her daughter says fan letters still arrive from all over the world, sometimes simply addressed to "Vera Lynn, UK". As she turns 100, Dame Vera says she finds it "humbling" people still enjoy her songs. 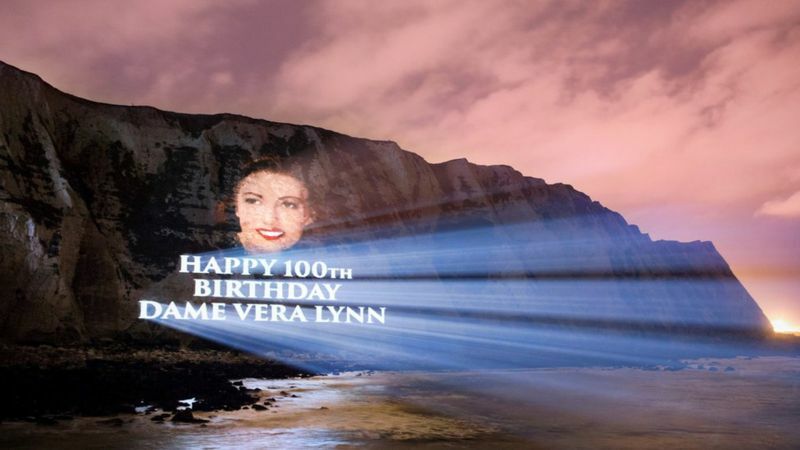 As The Queen wrote to her: "You cheered and uplifted us all in the War and after the War, and I am sure that this evening the blue birds of Dover will be flying over to wish you a happy anniversary, Elizabeth R."
Dame Vera said it was "an unprecedented honour to have my birthday marked in such a beautiful way" as her portrait is projected onto the White Cliffs of Dover.